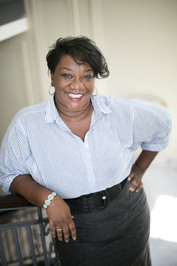 Tressie McMillan Cottom, the writer, professor, and acclaimed author of Lower Ed, now brilliantly shifts gears from running regression analyses on college data to unleashing another identity: a purveyor of wit, wisdom—and of course Black Twitter snark—about all that is right and much that is so very wrong about this thing we call society. In the bestselling tradition of bell hooks and Roxane Gay, McMillan Cottom’s freshman collection illuminates a particular trait of her tribe: being thick. In form, and in substance. Now, this book right here is the book I see myself reading when I am old and grey and still going “you’ve got that right!” It is in essay form, but does not shy away from a stark memoir. Honestly speaking, it is what it is, and that’s unapologetic, true, bold, harsh, nostalgic-and just like the title, it is thick! I would review this book everyday if it were up to me, because it is not the kind that you read and turn the page. It is profound in calling out the stereotypes we subscribe to, our perceptions, our socio-economic status and as a young black woman, what’s written herein is something I have experienced yet I am miles away in another continent. It goes beyond the value society places on a black woman, and dissects the lies we tell ourselves in our desire to conform to something that devalues us. I love this book and I look forward to having a hardcover copy for my library because I want to read this years on, to stir up conversations with young women like me here. I just got an eARC of #THICK by @tressiemcphd courtesy of @NetGalley and this book right here is calling me out on every bias, every thought I'd subscribed to as a black woman, I'm asking myself questions! I'm finally having a conversation with myself! I'll have to buy a copy of #THICK by @tressiemcphd because this right here should be in my library, my sisters have to read it, it's the book we'll be discussing over coffee and forever. The greatest coincidence is that this book is set to be released on my sister’s birthday! 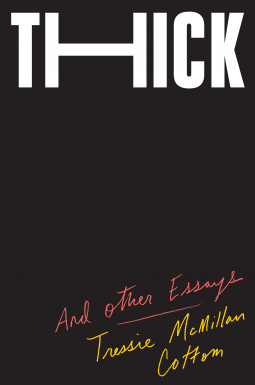 This entry was posted in Book Reviews, NetGalley and tagged beauty and stereotypes, Book Reviews, books for women, essays and memoirs, thick by tressie mcmillancottom by nilichosomablog. Bookmark the permalink.